How do I redeem my AppSumo/StackSocial code? 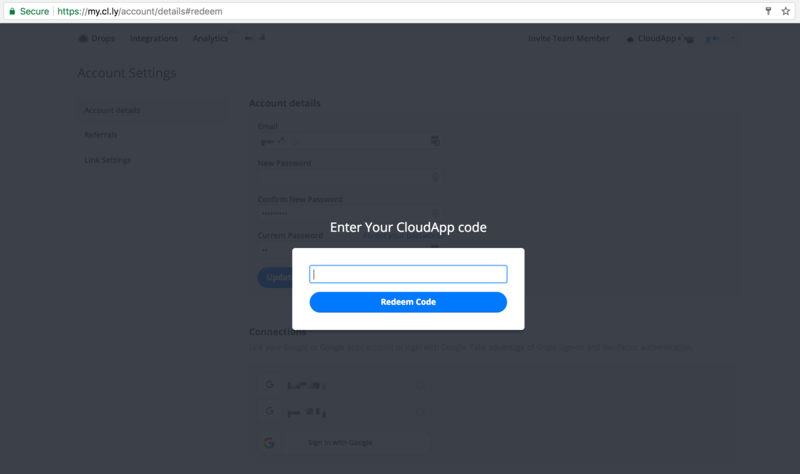 After purchasing our plan on AppSumo or StackSocial website, you will get a special code which has to be redeemed in your CloudApp account. If you are a new user, sign up for an account and go to https://my.cl.ly/redeem. Enter your code in the pop-up window. If you already have an account - sign in, go to https://my.cl.ly/redeem and enter your AppSumo/StackSocial code. Is CloudApp iCloud? Need help with your iPad or iPhone? 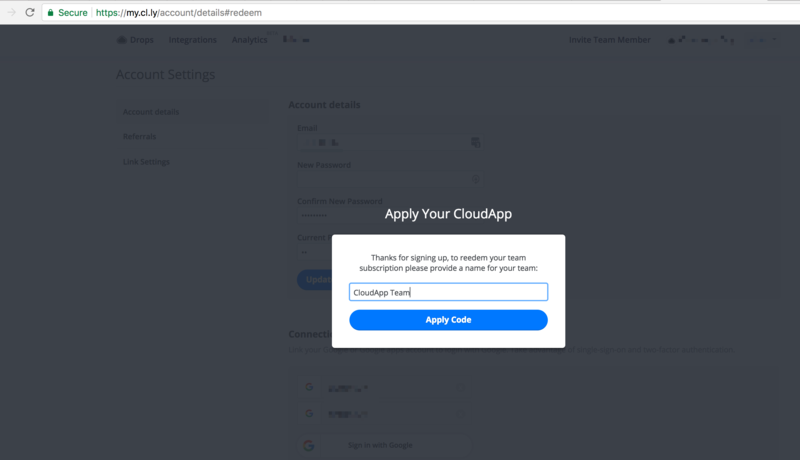 How do I create a CloudApp Team?